One of the best choose of Email Template Builder for your Startup or big Company. 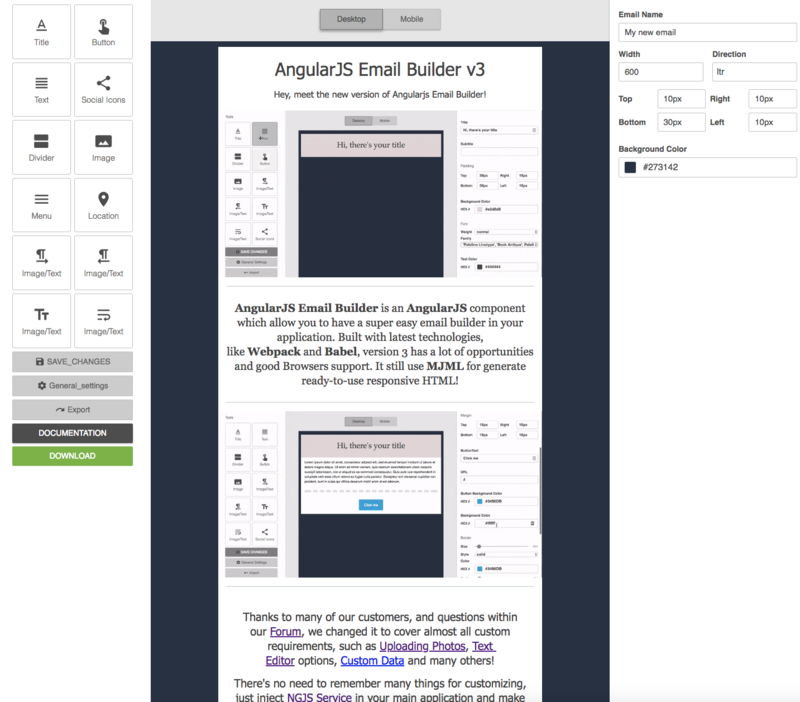 Here you are, a new Angular 6+ Email Builder. 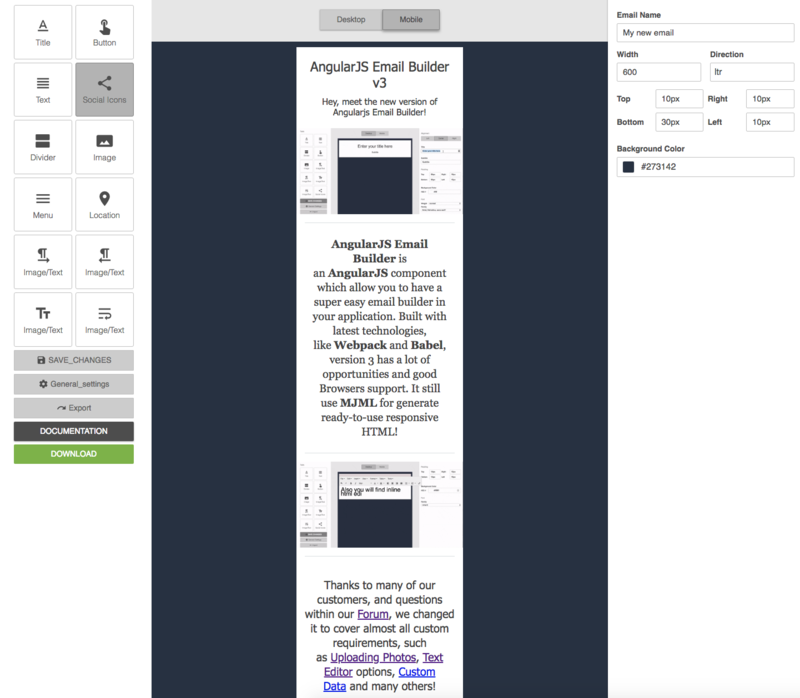 AngularJS Email Builder is an AngularJS component which allows you to have a super easy email builder in your application. Built with latest technologies, like Webpack and Babel,version 3 has a lot of opportunities and good Browsers support. Thanks to many of our customers, and questions within our Forum, we changed it to cover almost all custom requirements, such as Uploading Photos, Text Editor, Custom Data and many others! There’s no need to remember many things for customizing, just inject NGJS Service in your main application and make changes, that’s all!